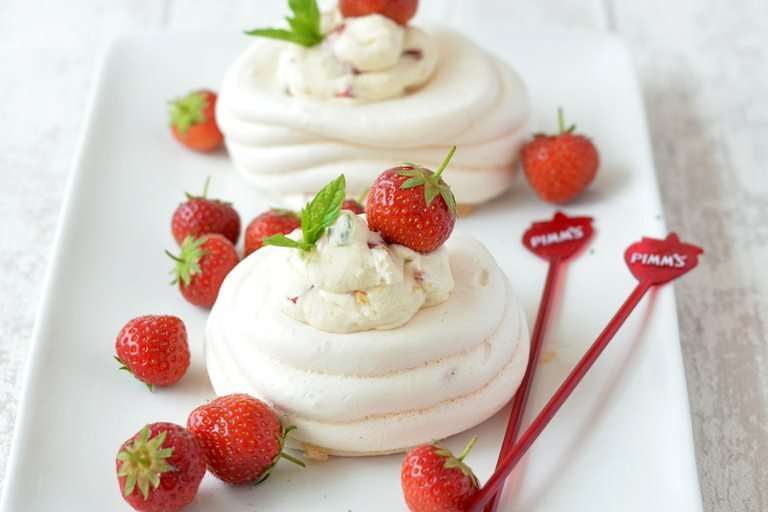 Try these individual desserts for a perfect taste of British summertime. 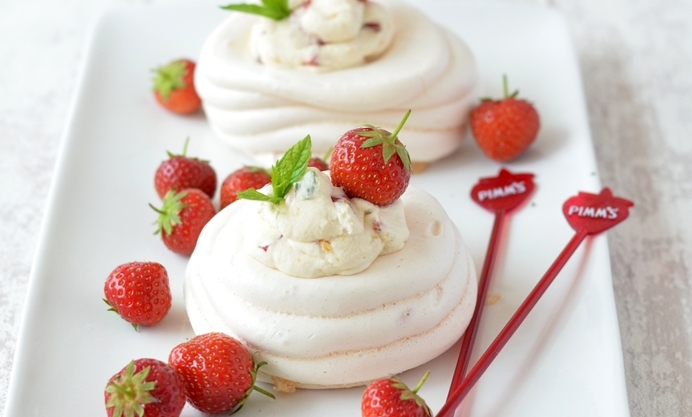 With Pimms and strawberries, Helen shows how to make perfect Pavlovas. Pimms has to be one of the most quintessentially English summertime drinks, served at Wimbledon, Ascot Ladies Day and the Chelsea Flower Show, typically in a tall glass with strawberries, mint, orange slices and cucumber. When I decided to recreate a Pimms with a difference I did away with the cucumber slices, as I prefer to leave them in my salads rather than my desserts. I think you'll agree that these individual desserts would still be perfect served at a Royal event.